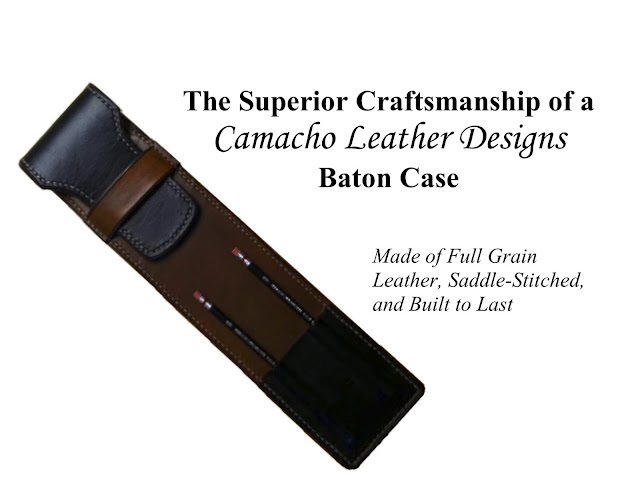 Camacho Leather Designs: What is saddle stitching? Hand-made in the USA, these fine leather Conducting Baton cases are the perfect gift or upgrade for any Orchestra, Band or Choir director. Many customizations are available, from colors to design. These cases are made to last generations! Greetings! It’s been a while since I’ve posted something on this web site. 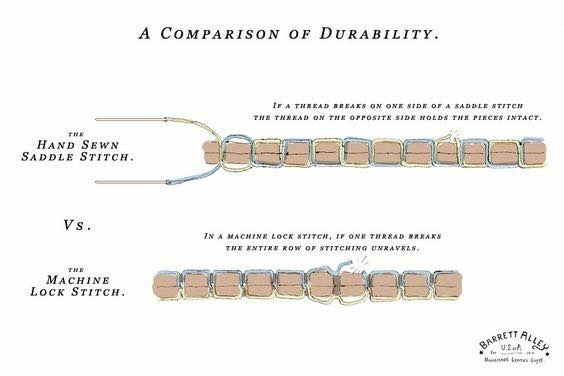 I came across a fantastic diagram that shows the difference between machine stitching and saddle stitching. Just wanted anyone interested in my cases to know that I saddle stitch all of my cases, by hand, one hole at a time (takes 2 hours generally to stitch one case). I’ve received many compliments on my cases, but I feel the most important detail that most folks oversee is the look of the stitching. If you have every had a garment or something that is machine stitched break the thread, it usually unravels. A saddle stitched item will hold its integrity and can be easily repaired by a leather worker. Anyhow, here is how it works! Copyright by Manuel A. Camacho II. Powered by Blogger.